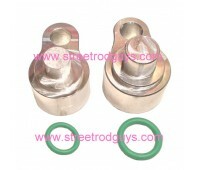 This A/C Block Kit, SRG204010, is used to block off the rear A/C on 2004 – 2011 Chrysler Minivan inc.. 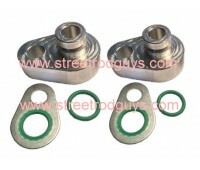 This A/C Block Kit, SRG21215, is used to block off the rear A/C on 2012 - 2015 Chrysler and Dodge Mi.. Tired of spending hundreds or even thousands of dollars for automotive AC repairs? 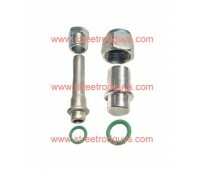 Repairing rear air conditioning lines on vehicles can get very costly. 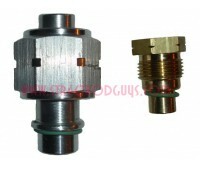 Why not block off the rear air conditioning completely with one of our custom designed rear AC block kits. 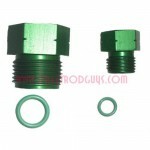 If you don't see a block kit you need we can custom make one for your application! Would you like to repair the line instead? 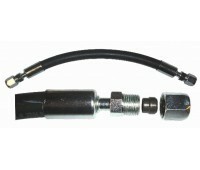 We have line repair kits available in many different sizes and lengths. 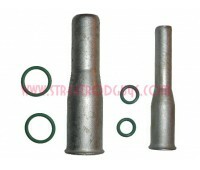 All line repair kits are made to order. Choose one of our custom lengths or call or request more info and will be happy to make one for you. 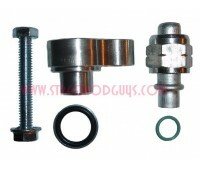 This A/C Block Kit, SRG-102011, is used to block off the rear A/C on 2002 to Current Chevrolet Trail.. 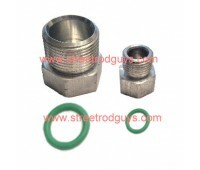 This A/C Block Kit, ATMFSFD, is used to block off the rear A/C on the Ford E-Series van with #6 an.. 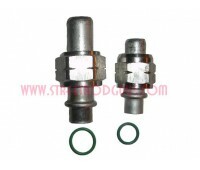 This A/C Block Kit, SRG100003, is used to block off the rear A/C on 2000 – 2009 Chevrole.. 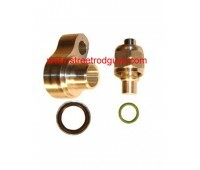 The AC Block Kit SRG31015 is designed to fit 2007 to current Ford Expedtion and Lincoln Navigator,.. 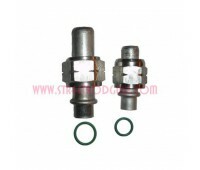 This A/C Block Kit, ATMCHDUR, is used to block off the rear A/C for 2000 – 2009 Durango with s.. 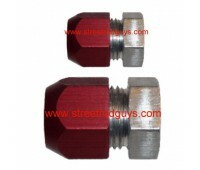 This A/C Block Kiit, ATMGM9699, is used to block off the rear A/C on 1996 – 1999 Chevrolet Full Si.. 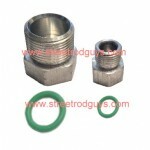 This A/C Block Kit, SRGGM19095, is used to block off the rear A/C on 1990-1995 Chevrolet Full Size V.. 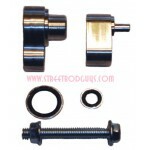 This A/C Block Kit, ATMFREESTAR, is used to block off the rear A/C on 2004-2006 Ford Freestar using .. 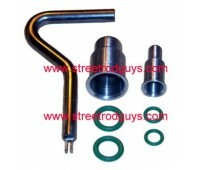 This A/C Block Kit, ATMFD9398, is used to block off the rear A/C for 1993 – 1998 Ford, Lincoln and.. 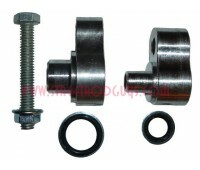 This rear A/C Block Kit, SRG1B10-08, is used to block off the rear A/C on 2005-2007 Buick Terr.. 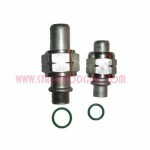 This A/C Block Kit, SRG1B1008, is used to block off the rear A/C on 2005-2009 Chevrolet Uplande.. 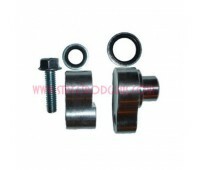 Designed to block off the rear A/C on Saturn outlook Quickly And Effectively Blocks A/C Lines At ..
Rear AC block kit for 2006-2010 Saturn Outlook2006 | 2007 | 2008 | 2009 | 2010 | 2011 | 2012 | 2013 .. 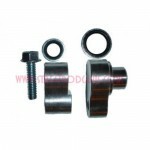 The SRG204010-VW is used to block off the rear a/c on a 2008-2011 Volkswagen Routan. High side .. 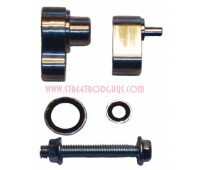 This kit will block off the rear a/c on a '90-'94 dodge ram vanFits years 1990, 1991, 1992, 1993, 19..